JTJB acted for the successful Respondent in the case of Paragon Shipping v Freight Connect heard by the Singapore Court of Appeal. A key issue in the case was the nature and effect of time lost clauses in charterparties. This issue had not been squarely dealt with by the Singapore Courts previously. K Murali Pany and Edward Koh acted for the Respondent. JTJB’s Shipping & Admiralty Practice Group is one of the most experienced shipping practices in Asia, and is a key area of practice at our firm. For more information about the deal, please feel free to contact K Murali Pany at murali@jtjb.com. 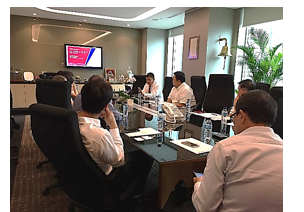 JTJB Senior Partner, Danny Chua held a seminar on 17th September 2015, Thursday, on the above topic. OW Bunker’s sudden bankruptcy on November 2014 sent ripples throughout the world, especially in the bunker industry.Most physical suppliers that contracted with the O.W. Bunker Group had retention of title clauses in their contracts and were unpaid when O.W. Bunker declared bankruptcy. It was an informative session which ended with an interactive Q&A session. JTJB’s Shipping & Admiralty Practice Group is one of the most experienced shipping practices in Asia, and is a key area of practice at our firm. For more information on the seminar, please feel free to contact Danny Chua at dannychua@jtjb.com. JTJB Head of Corporate, Florence Goh conducted a Seminar on “Joint Venture” for the Myanma Five Star Line (MFSL) and group of Companies under the Myanma Economic Holdings Limited on 4th September 2015, Friday in Yangon. The seminar was well attended by 70 representatives from MFSL and their associated companies in Myanmar. Florence subsequently conducted another Seminar on the “Importance of Legal Contracts” for the Myanmar Construction Entrepreneurs Association (Mandalay Region) on 29 September 2015, Tuesday. JTJB appreciates the opportunity given to speak at the seminars and thanks the respective organizations for their kind hospitality. JTJB’s Corporate & Corporate Secretarial Practice provides a full range of corporate legal and advisory services. For more information on our corporate services, please contact Florence Goh at florencegoh@jtjb.com. JTJB participated in the 2nd SCCA Lunchtime Seminar on Thursday 10th September 2015. JTJB Managing Partner, Murali Pany, spoke on the topic “Restraint of Trade: Effectively Protecting your Trade Secrets, Confidential Information and Business Goodwill”. Murali spoke about common problems and issues commonly experienced by employers, the value of contractual clauses and the importance of having appropriate clauses. The seminar ended with case studies and an interactive Q&A session with the attendees. For more information on the above seminar topic, feel free to contact K Murali Pany at murali@jtjb.com. The annual ADVOC International Business Law Conference was held in Bali from 14th to 15th September 2015. The conference featured a total of 13 speakers from international jurisdictions and was well attended by 42 delegates. Topics discussed at the conference includes a keynote speech by Dato’ Mohamad Ariff Yusof, Retired Court of Appeal Judge, Malaysia & Founder of Cheang & Ariff, on “The Judiciary, The Executive and The Rule of Law” as well as 4 panel discussions on “Strategic Partnerships with Corporate Counsel : Creating Win-Win Outcomes”, “Judicial Interventions in Arbitrations and Setting Aside Awards”, “Cross border Finance Transactions: Taking Security in Different Jurisdictions” and “Law Firms Offering Business Related Services: Is This the Future?“. The Conference also featured Mr Daniel Elber as the after dinner speaker. Mr Elber is the founder of the Future for Children Foundation. He spoke about the Muntigunung Community Social Enterprise which distributes a wide range of high quality products originating from and processed in the remote area of Muntigunung, northeast Bali. The production and processing by local villagers is supported and coordinated by the Muntigunung Development and Livelihood Program implementation in 2006 by the Future for Children Foundation. JTJB is a supporter of this project. ADVOC is an international network of 92 independent law firms spanning 69 countries. JTJB is the only Singapore member of ADVOC. For more information, feel free to contact us at info@jtjb.com. 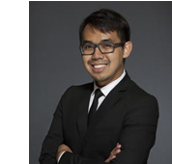 JTJB is pleased to announce that Muhammad Raffli has been promoted to Senior Associate. Raffli joined JTJB in January 2011 as a practice trainee and his areas of practice are probate, family law, corporate litigation as well as admiralty and maritime work.Congratulations Raffli! 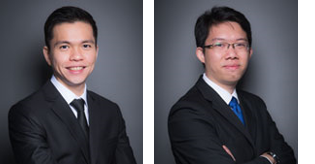 The firm congratulates our new Associates, Wong Shi Xiong and Ng Lip Kai. They were both called to the Bar on 22nd August 2015. 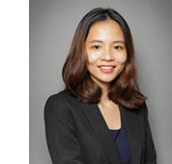 Shi Xiong and Lip Kai joined the firm as practice trainees in December 2014 and were retained as Associates. Yong Khai Si, Kay graduated with honours from the University of Manchester. Kay was subsequently called to the Singapore Bar in 2015 and joined JTJB as an Associate on 7th September 2015.